St Tudy with Michaelstow, is part of the Camel Side Benefice. St Tudy Church is going to hold a talent show in the Village Hall on Saturday 7th September. The emphasis is on a variety show, it is not a contest, and everybody is welcome to have a go from Accapella to Ziggy Stardust, and don’t forget poetry and maybe even a short play! We know there is a lot of talent in the village and if you would like to be part of this occasion to raise funds for our church we would like to hear from you, either as a performer, or as a helper. Local group Skylark are booked as the resident group for the evening to warm things up, keep things going, and help with the introductions and inevitable applause for the performers. http://skylark-music.co.uk. Please send an e-mail to paul@southerly.me.uk in the first instance; please give details of your performance and/or if you are offering to help at this exciting event. 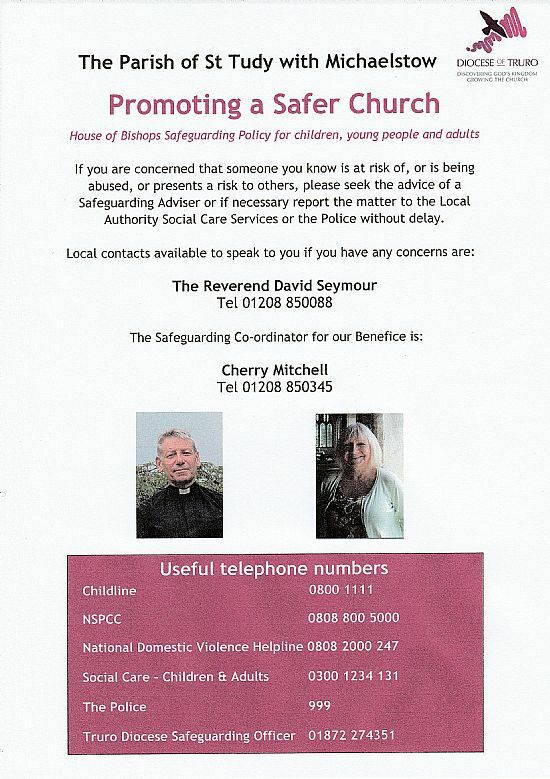 The Service Sheet for the Benefice has been added as a link on the 'Service Dates and Times Including Benefice' page. 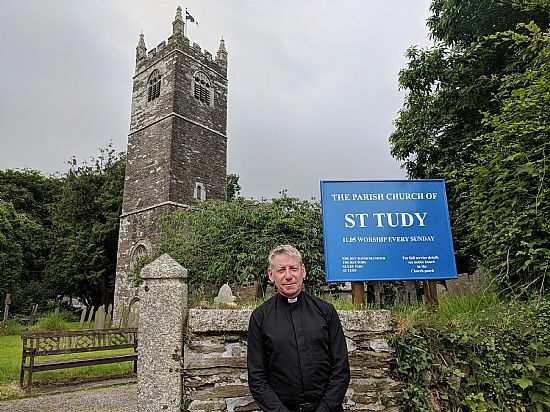 This website is intended to give full information about St Tudy Church and the associated Chapel of Ease at Michaelstow. Suggestions for adding news, information etc, or any corrections, are very welcome. Please talk to any member of the PCC for any matter relating to this website.